You may not think about it much, but your business depends on a fast, well-designed data network. In a data-driven world, slow speeds won't cut it. Whether your business needs to grow an existing data network or start from scratch, Omni Cabling is here for you. 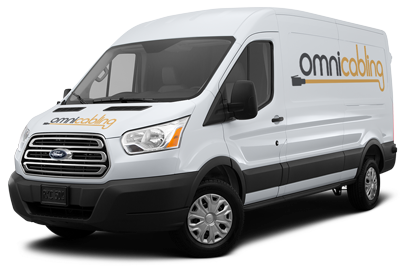 Omni Cabling is a Michigan data network installer that takes pride in offering quality materials paired with professional service at an affordable price. Quality voice cabling is the difference between great customer service and static-filled confusion. Don't let poorly implemented voice cabling leave your customers and service team frustrated. Omni Cabling is experienced and ready to install your new voice cabling or diagnose and repair an existing voice network. Contact Omni Cabling today to get started on your low-voltage cabling project.